!! Bombay Presidency Golf Club - Facilities !! Located in the Heart of the City BPGC offers an unparalleled Golfing and Stay experience in the City of Mumbai. WIth Chembur being the best connected suburb in the city, BPGC is a visiting Golfers paradise in terms of offering quality rooms and an amazing golfing experince at an extremely value based price. The Club has 18 rooms, a swimming Pool, Gym, Restaurant, Bars, etc.. to make one stay at BPGC a memorable expernice. 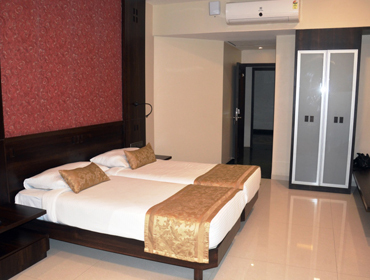 The Club has 7 fully furnished air conditioned double rooms at 2nd Floor. All the rooms have a magnificent view of the golf course. All rooms are equipped with multi channel cable television, tea and coffee maker, telephone, and phone jack for Internet connection. Room rates are very competitive, and special packages are available for bulk bookings. 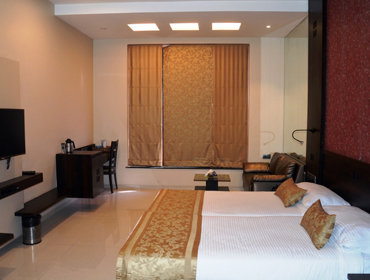 The Club has 11 fully furnished air conditioned double rooms at 3rd Floor. All the rooms have a magnificent view of the golf course and Club House. All rooms are equipped with multi channel cable television, tea and coffee maker, telephone, and phone jack for Internet connection. Room rates are very competitive, and special packages are available for bulk bookings.